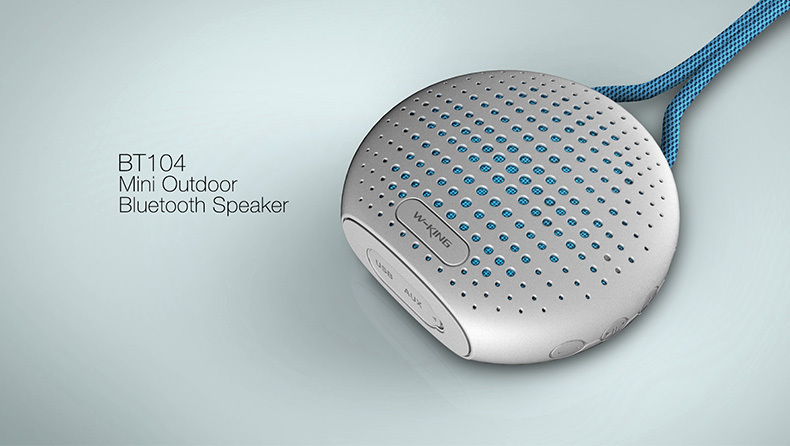 UNIVERSAL COMPATIBILITY – Our portable speakers can be paired with all types of devices that use Bluetooth technology!Perfect for bike,car,golf cart,beach,poolside,etc. 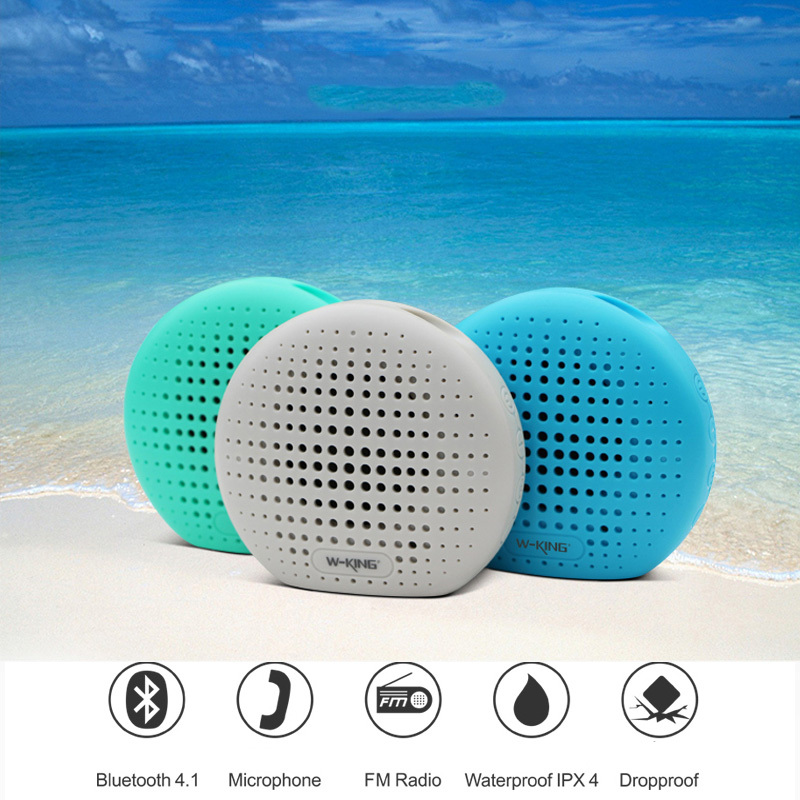 EASY TO PAIR & TF SUPPORT – The Ozzie mini and portable speaker can support TF card and its Bluetooth 4.1 technology pairs with digital devices easily and quickly.The wireless speaker’s outdoor & shower range is 33 feet, so you can listen to music even if it’s far away from your device. 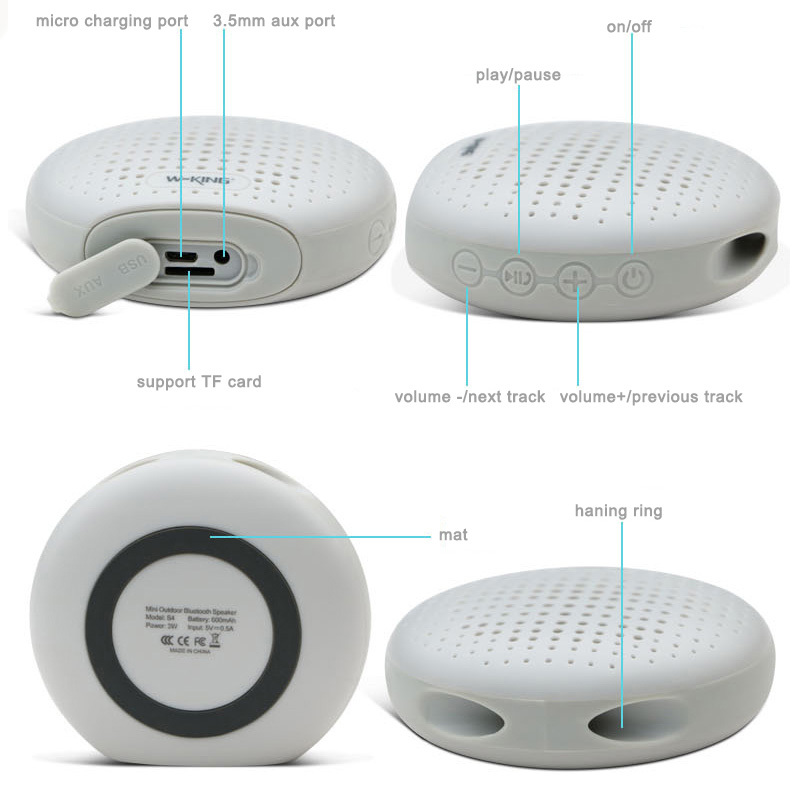 SONG FORWARD AND BACK – There are “last song,” “next song,” buttons, “power-on/power-off,” and “play/pause,” buttons on the bluetooth stereo speaker. 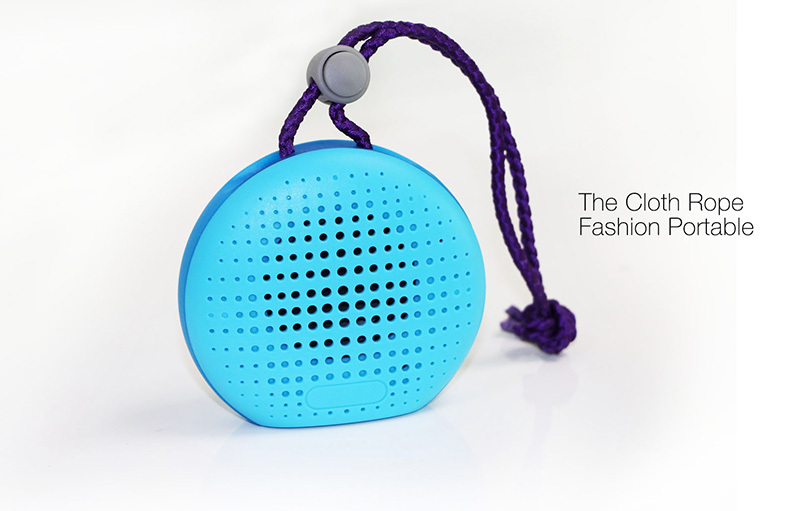 Provides up to 5 hours playing time after charging the shockproof Bluetooth speaker for only 1.5 hours. 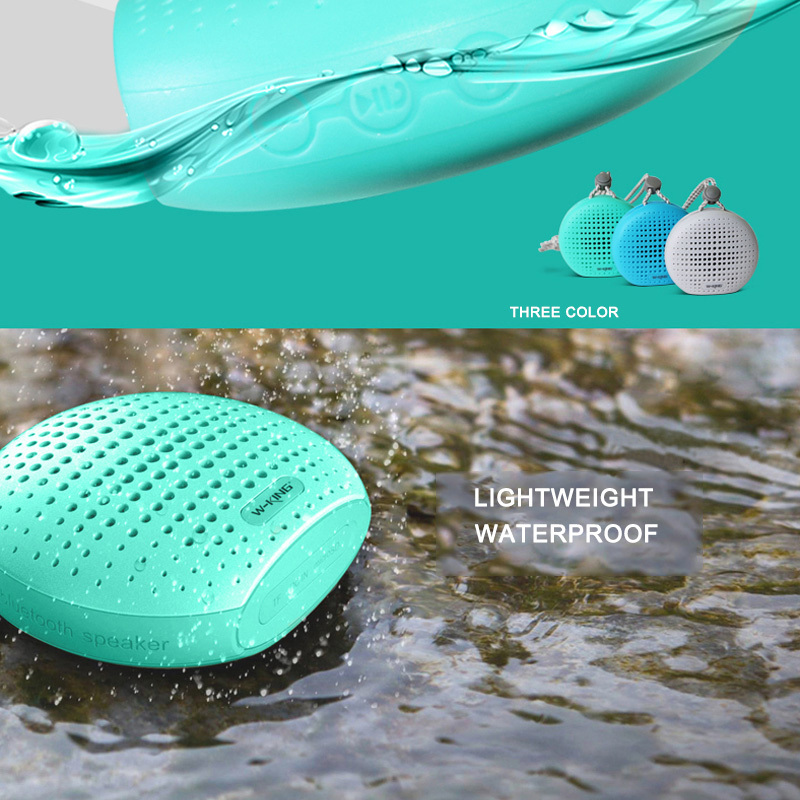 WATERPROOF IPX5 & PORTABLE – The perfect size for outdoors, sports, hiking, travel, camping, cycling, etc.The waterproof speaker weighs only 184g and measures less than 9.24 x 4cm. Easy to carry and take on the go. Comes with a cloth rope. Hang it anywhere– on a purse, briefcase, backpack, bike, towel rack, shower shelf, etc. 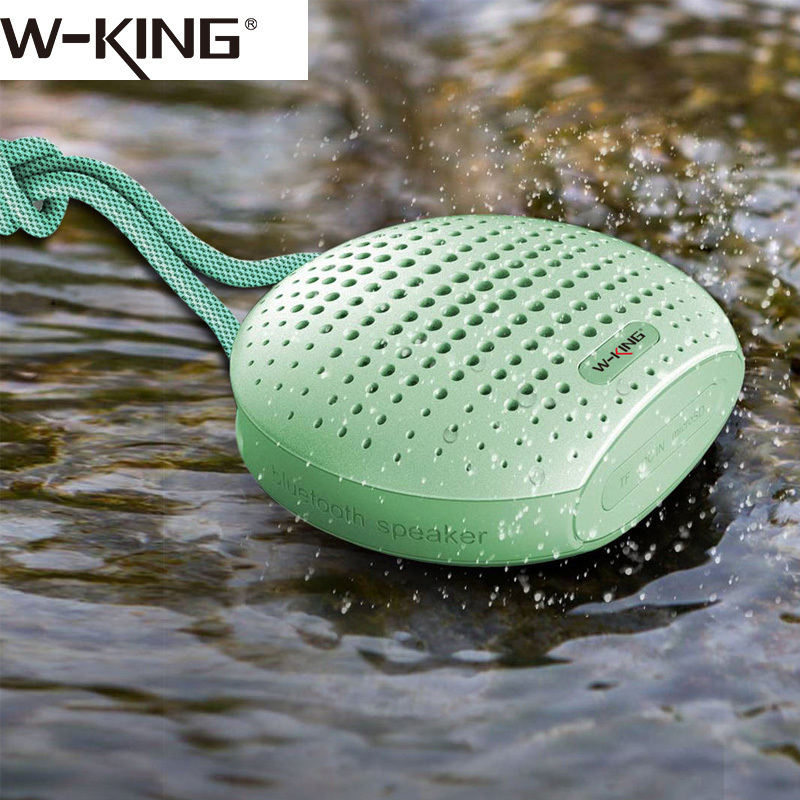 W-king is a name brand of Bluetooth Speaker and Buetooth Headphone. 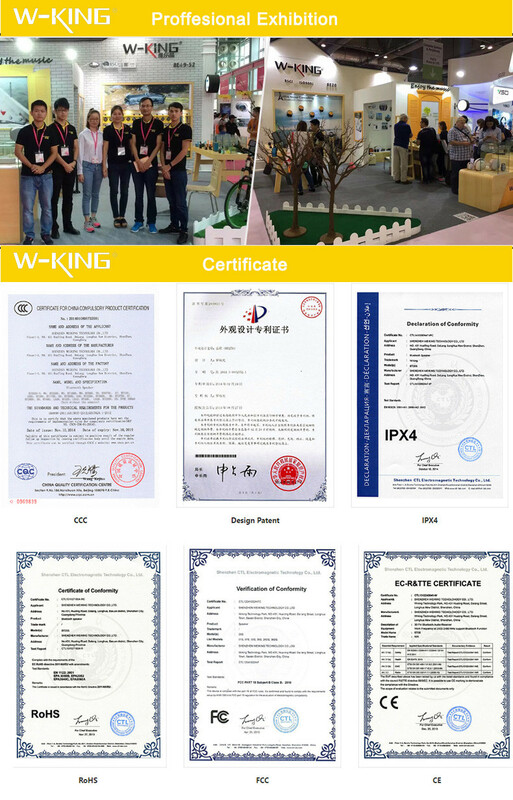 W-king always focus on making best sound .and we have a strict QC team , we passed ISO9001 quality management system certification ,we are a members of the BSCI.all of the w-king’s meets global quality standards: KC.CE,FCC,ROHS ,PRO 65, UN38.3 ect.